We have made several upgrades to the way our plugin and WPML interact which unfortunately means a new way of having the information on your website setup. However once the data is converted to the new system managing listings across multiple languages and handling translations will be much easier. If you wish to downgrade your site back to 11.3 before these changes were made you can by going here and entering in your theme purchase code. Don't forget to mark the translations as complete or they won't be used by WPML! Once you've translated your categories and terms you can now tell WPML how to handle the translations for custom fields on your posts under WPML >> Translation Management >> Multilingual Content Setup so it knows which values you want translated and which ones not to translate. 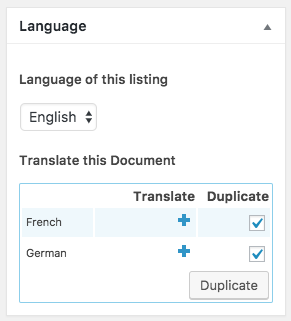 You can then keep the listings set as duplicates in the other languages so then you only need to update the main listing in order to update all the other languages.